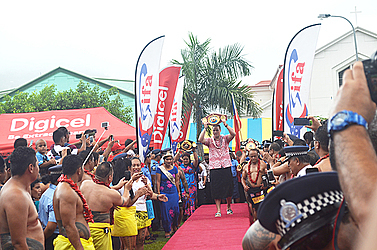 The hot sun and the rain did not dampen the spirits of thousands of people from all around Samoa who gathered in Apia for the party of the year yesterday. People of all ages proudly decked out in blue outfits – with many wearing the ulafala – lined up both sides of Beach Road to catch a glimpse of Samoa’s world heavyweight boxing champion, Lupesoliai Laauliolemalietoa Joseph Parker. For a moment, the nation paused to pay tribute and show their appreciation to the young man who has brought so much happiness during the past two weeks. The parade started from the Fire and Emergency Services Authority headquarters, ending in front of the government building where a special ceremony was held to officially welcome Parker and his team. Cabinet Ministers, government officials, Members of the Diplomatic Corps and the Samoan Community assembled in front of the government building for the momentous occasion. 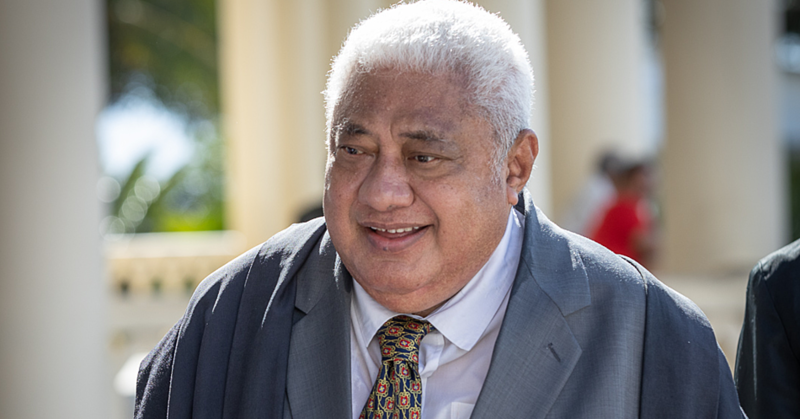 Prime Minister, Tuilaepa Sa’ilele Malielegaoi, congratulated Lupesoliai. “History is written by winners,” said Tuilaepa. “Today’s historical event is in the celebration of the victory won by a son of Samoa, Lupesoliai Laauliolemalietoa Joseph Parker in the boxing arena. “The battle you had won is already your victory in God. No doubt in the lead up to the championship fight, you had persevered the toughness in your preparations. 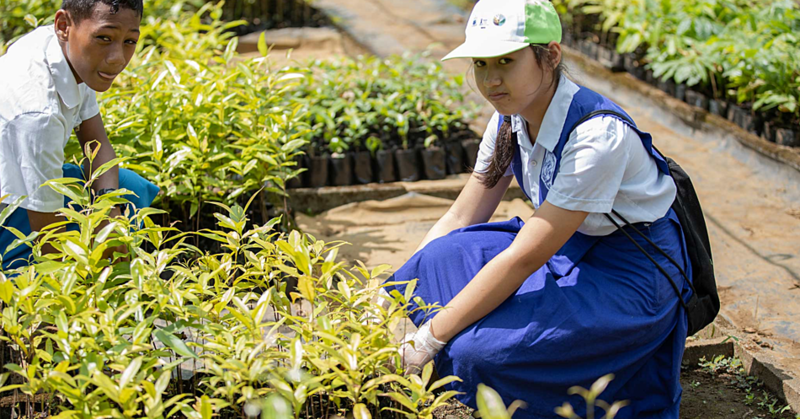 “You have learned that the limit does not stretch high into the skies but in the confines of the mind. We are warmed by the fact that today’s limit will be tomorrow’s victory.” Tuilaepa acknowledged that there have been criticisms of Parker’s victory. But he urged the24-year-old champion to use the critics as motivation. “Despite the different viewpoints of hair counting critics, accept those challenges so that you can feel the exhilaration of victory,” he said. “We are all well aware that obstacles are necessary for success as victory comes only after many struggles and sometimes defeat. Tuilaepa also thanked Lupesoliai for agreeing to come back to Samoa after winning the Heavyweight World Champion title. “I wish to thank you Lupesoliai for agreeing to come to Samoa to your people, to let us all savour the sweetness of your victory,” he said. Finally, he assured that Samoa would always be behind him. 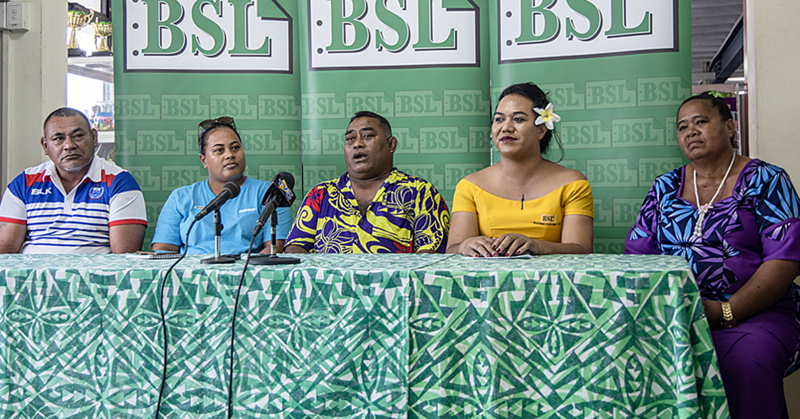 In response, Lupesoliai acknowledged the kind comments from the Prime Minister. He said he appreciates the love and support from the people of Samoa. “Thank you to Samoa,” he said. He dedicated the world title victory to Samoa. Lastly, he wished everyone in Samoa a Happy Christmas and a prosperous New Years.